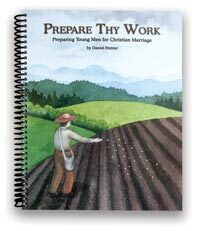 What does it mean for a young man to “prepare his field” before he “builds his house?” What should he be “planting” during the precious years of his youth that will prepare him for establishing a godly household? When is he qualified to seek and win the heart of a young lady? We believe this book helps fill a gap that needs to be filled, and Daniel has done an excellent job of helping young men and their parents think about these questions. 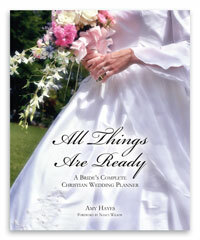 Packed with Bible studies, evaluation questions, counsel from godly men, practical projects, and helpful resources, Prepare Thy Work helps young men properly order their lives and goals – preparing for their callings first, and then pursuing courtship and marriage. Prepare Thy Work will make an excellent father-son study at home or with other men at church. It will also be a welcomed gift to any young man who desires to please and glorify God. This book could be one of the best investments you make in the generations who will follow you! How does this new book differ from Plants Grown Up? 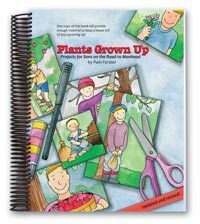 Plants Grown Up covers many more aspects of Christian character, and it is generally used to train younger sons (ages 5-18). While we believe all these character qualities are absolutely essential for any young man who wants to glorify God in his life, including his marriage, Prepare Thy Work more specifically addresses other important topics like choosing a vocation and understanding courtship principles. 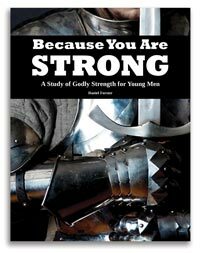 Studies, projects, and questions in Prepare Thy Work are directed to young men high school age or older, and each chapter will encourage young men to seek out the godly counsel of parents and other Christian men. 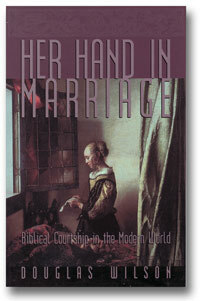 This book is all about answering the question, "How should a young man prepare for marriage?" Prepare Thy Work is an invaluable tool both for young men, and also for parents who want to help their sons prepare. No matter what age your sons are now, you need to think through these issues and be prepared to prepare them! Also, if you're planning to practice courtship with your daughters, this book will help you evaluate the preparedness of potential suitors from a biblical perspective. Scripture quotations are from the KJV and ESV translations.